Yesterday was December 21, the shortest day of the year. That means brighter days are ahead and Christmas is only 4 days away. Time to start My holiday desserts and to share two of My favorite Christmas recipes . You probably all know about the Panettone from Milano and the Pandoro from Verona, both delicious holiday cakes and today easily available in many gourmet grocery stores. 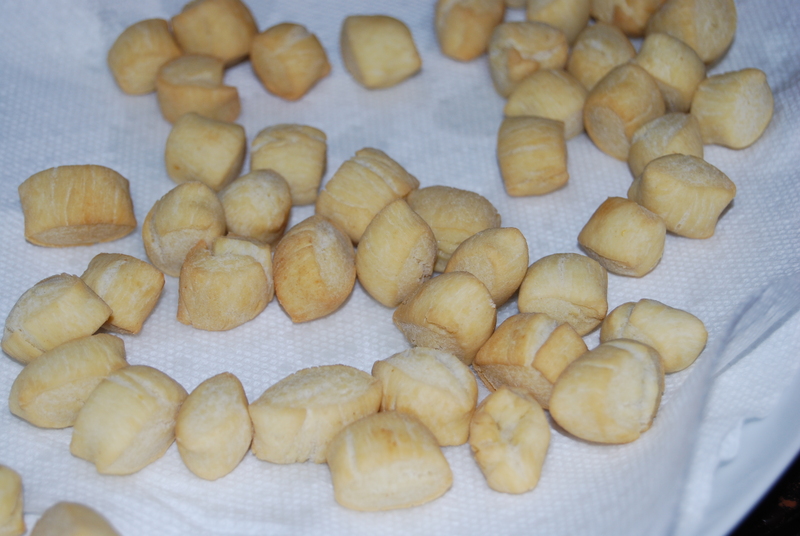 But, how many of you know about two delicious specialties of the Neapolitan region, the Struffoli and the Mostaccioli? The Struffoli and the Mostaccioli are nowhere to be found in the States (or at least around my area) so I had no choice that to make My own. The Struffoli are a true Neapolitan dolce (dessert). It appears that the Greeks brought this specialty to Naples. From there it has widespread throughout Central and Southern Italy; however, with some variations from region to region. 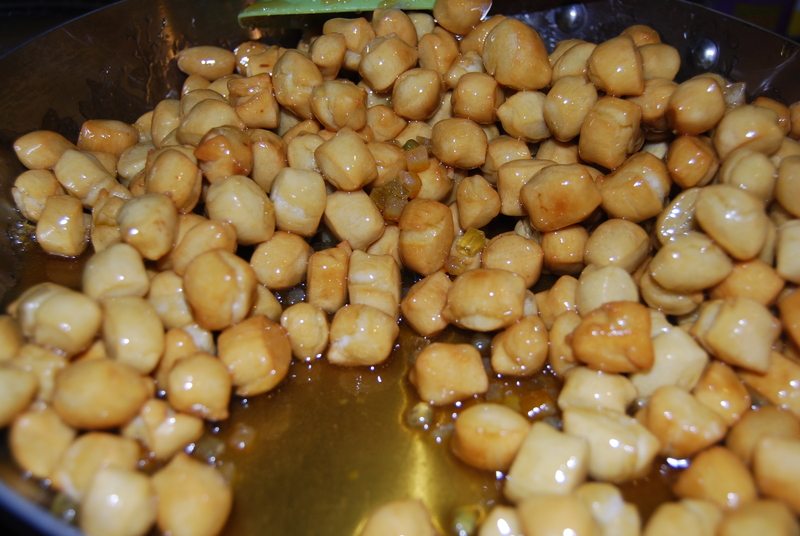 The Struffoli are little balls of dough fried and then coated in honey. Their flavor improves after a couple of days. That’s why it is important to prepare them a few days before the event. 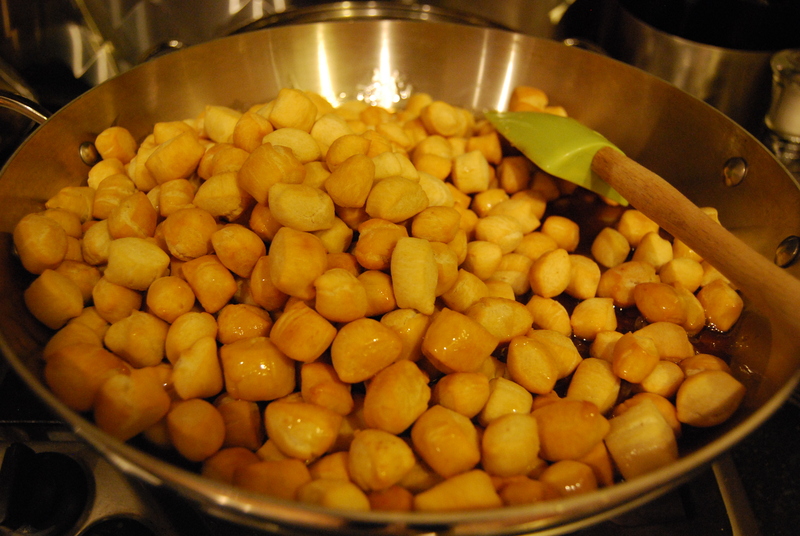 I use a traditional recipe without baking powder because I like My Struffoli a little crunchy. 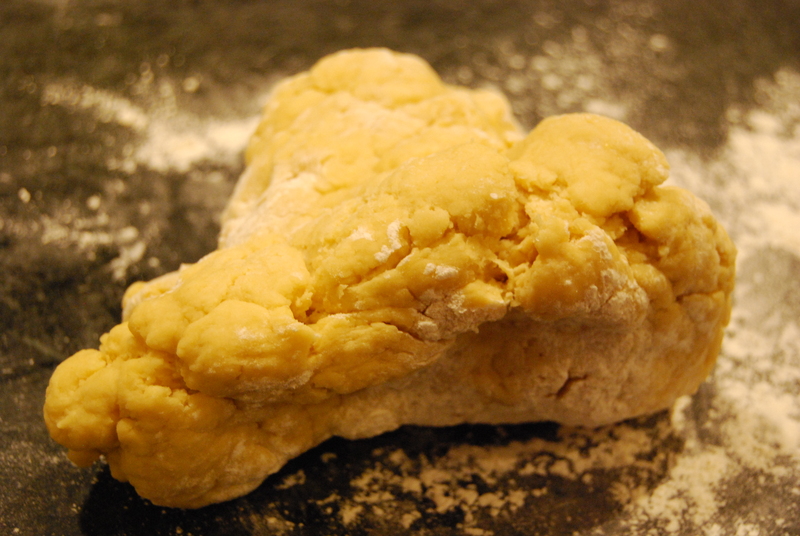 If you prefer a softer consistency add 1/4 teaspoon of baking powder and let the dough rest for 60 minutes. Also, the original recipe includes the Italian liqueur Strega or Anisette but, since just few weeks ago I bottled My Limoncello (you should know this if you have been following My blog! ), I am using that in my recipe. 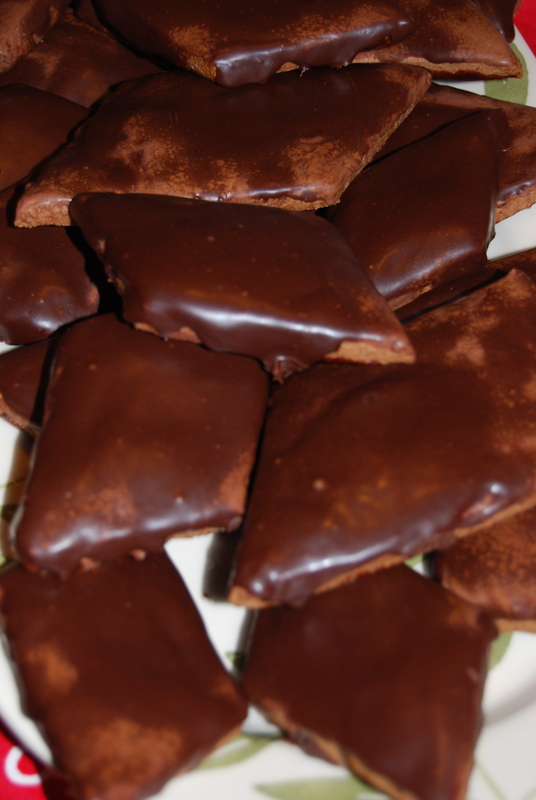 The Mostaccioli, also called Mustaccioli are sort of large biscotti (cookies) shaped like a diamond and covered with a chocolate glaze or ganache. The name Mostaccioli comes from the peasant’s habit to use the wine must in order to develop a more intense and sweet flavor. The list of traditional Christmas desserts from the Neapolitan area also include other delicacies like the Susamielli, honey based biscotti shaped like the letter S. The Roccoco`, very hard biscotti, shaped like donuts with an intense flavor of almond and citrus. The Divinoamore, prepared for the first time by the nuns of the convent Divino Amore. The almonds and lemons along with the light pink glaze give these small bites a unique Mediterranean flavor. I have yet to experiment with these recipes, may be next Christmas I will but for now, I hope you will enjoy My Struffloli and Mostaccioli. 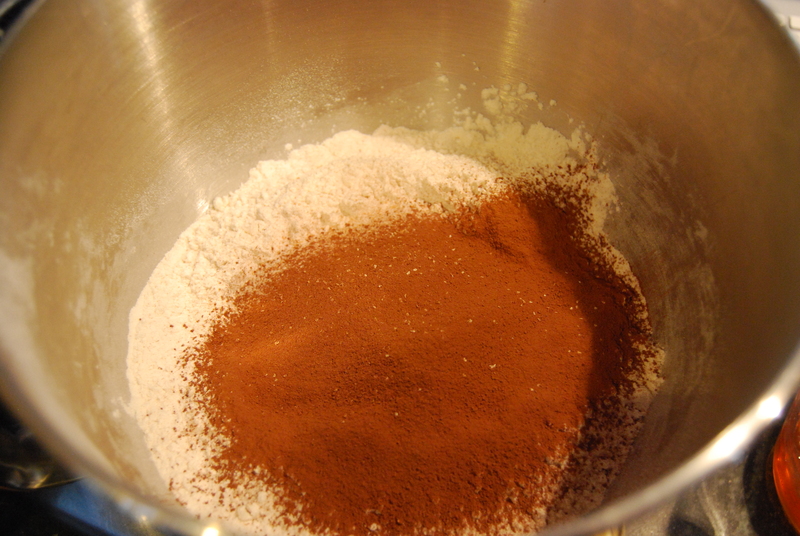 In a bowl of a food processor sift together the flower, the salt, the baking powder, the baking soda and the cocoa powder. Add the sugar and combine the ingredients at slow speed. 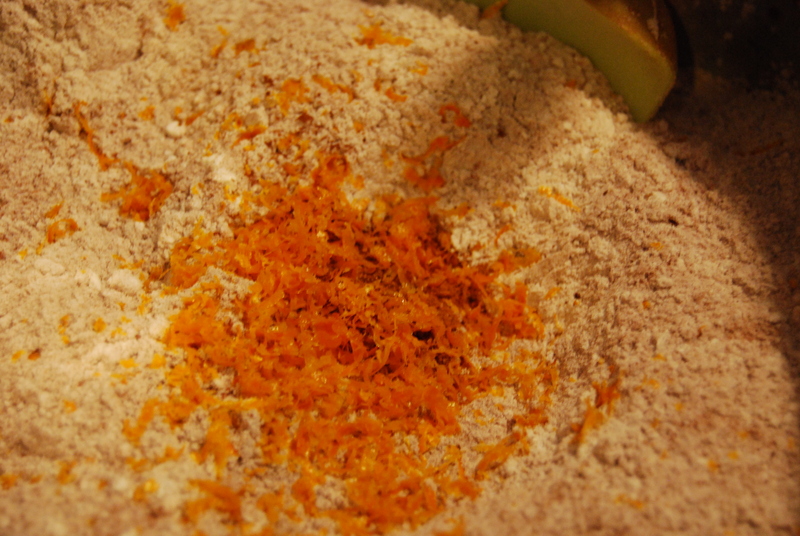 Add the orange and tangerine zest and the spices and process until combined. 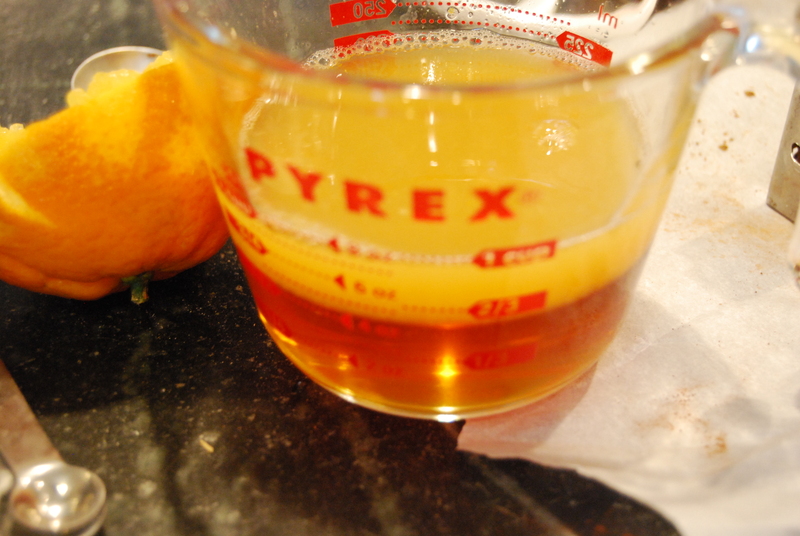 In a measuring cup pour the required amount of honey , add the orange juice and tangerine juice and then add to the dry ingredients (do not rinse the cup, add ¼ cup of warm water and keep it aside). Mix the dough at medium speed allowing all the ingredients to come together. Add the Grand Marnier and keep processing the dough. Add the warm water as necessary to obtain a compact dough. 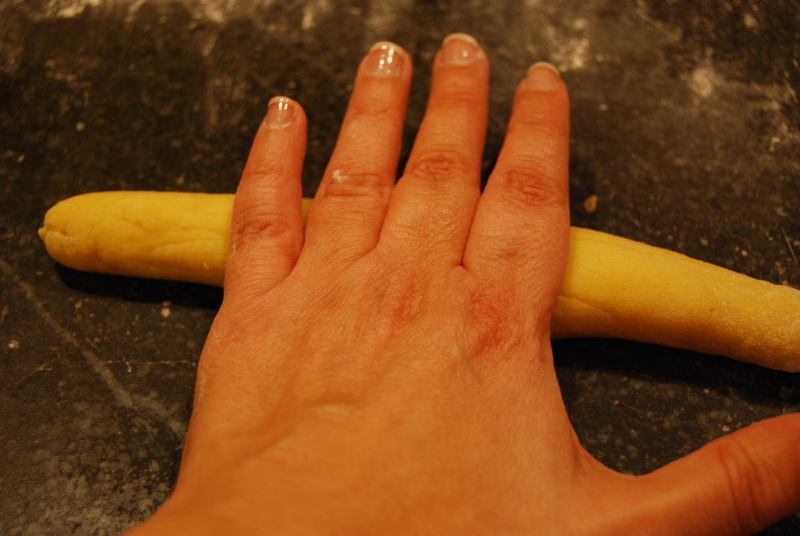 Mix the dough until it detaches from the side of the bowl. It should be smooth with no lumps. 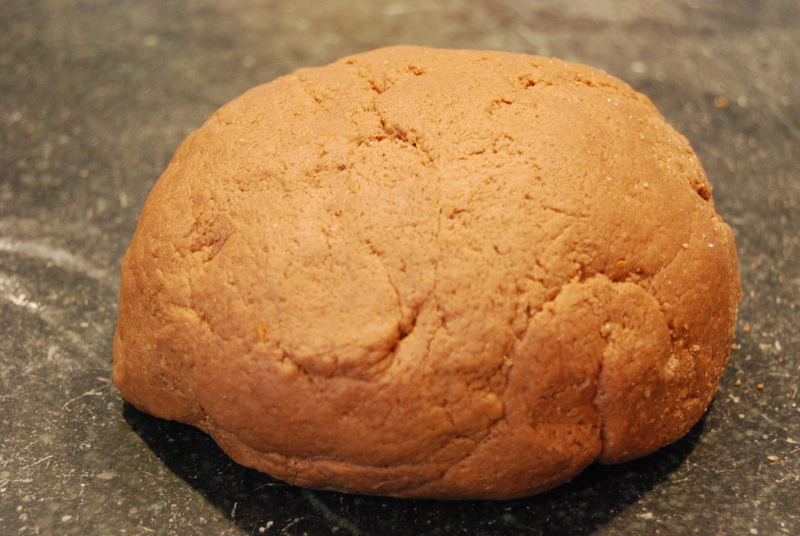 Damp the dough on a surface slightly dusted with flour and shape into a ball. Wrap the dough in plastic and chill in the refrigerator for 1 hour. Preheat the oven at 360 degree F.
Remove the dough form the refrigerator and on a surface well dusted with flour roll out the dough to a ½ inch thick. Move the dough around and check underneath to make sure it is not sticking. 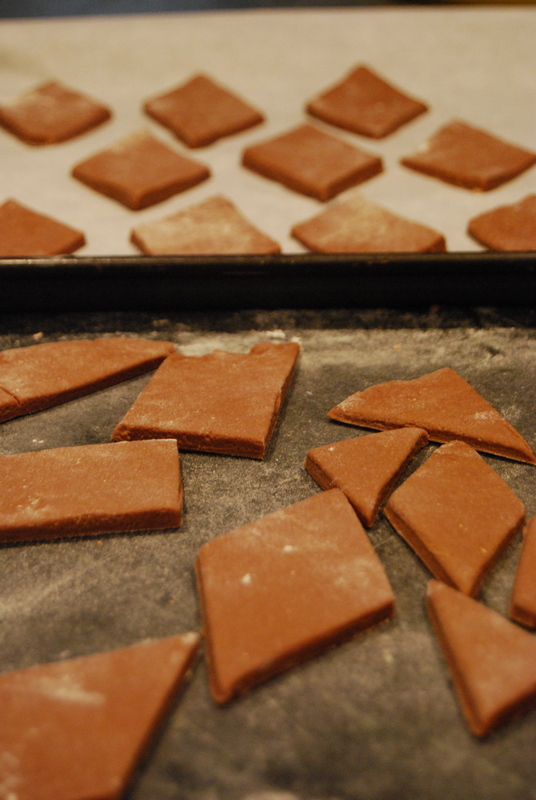 Cut the dough into diamond shape, large and/or small and place on a baking sheet lined with parchment. Bake for 15 minutes, remove from oven and let sit on baking sheet for 2 minutes and then transfer on wire rack to completely cool. In a pan combine chocolate chips and the heavy cram in a heat-proof bowl over a pan of simmering water and stir until the chocolate melts. 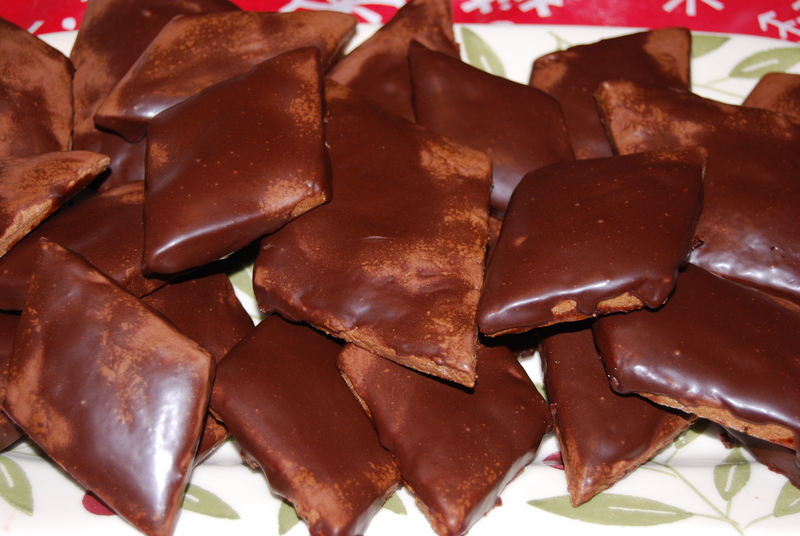 With a brush cover the bottom of the Mostaccioli with a thin layer of chocolate and let them dry completely. Once they are dry, flip the Mostaccioli and pour the chocolate over the top. 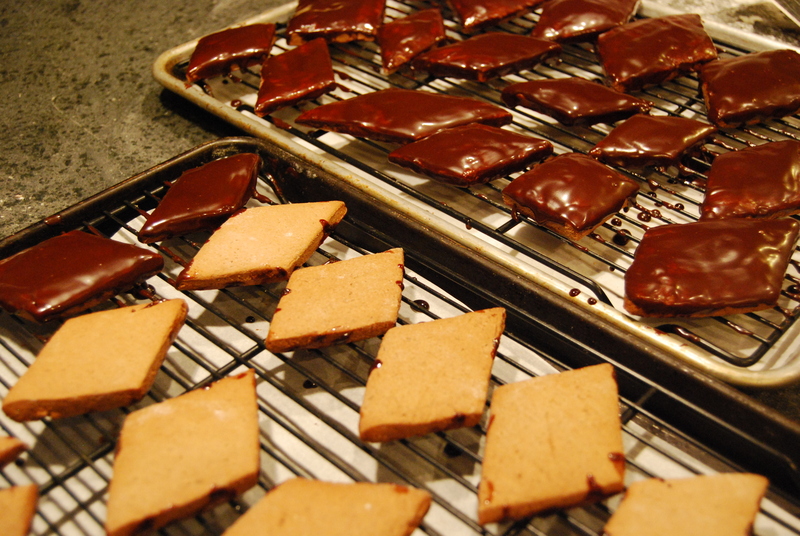 Work on a wire rack with a pan underneath because you will have to allow the chocolate to drizzle down the sides. 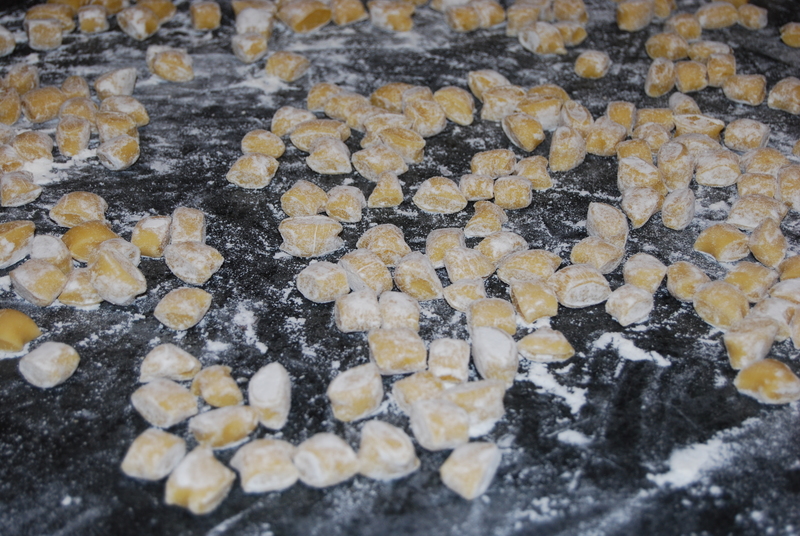 The Mostaccioli need several hours to dry completely. Mixed candied fruit chopped into small pieces. In a bowl of a food processor sift the flower, add the salt, the sugar, the lemon zest and the butter and combine the ingredients at slow speed. Slowly add the eggs and lastly the liqueur and process the dough until it detaches from the side of the bowl (add a little bit of cold water if necessary). The dough should be smooth. 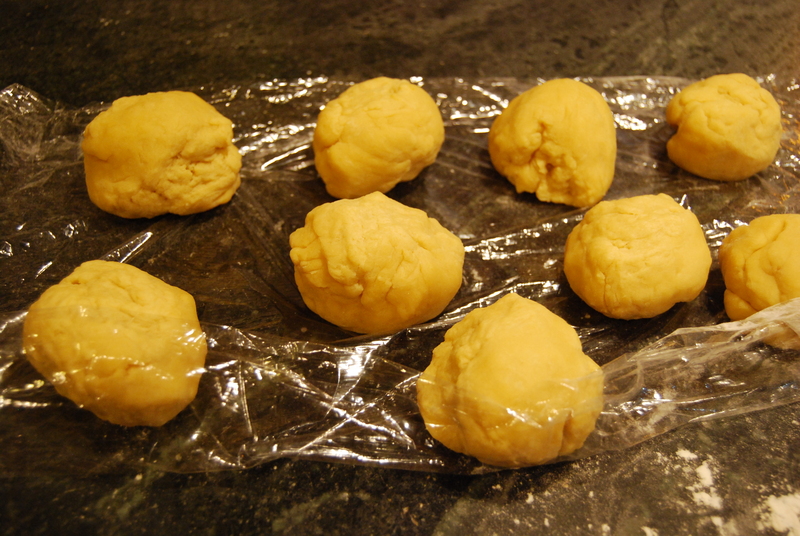 Wrap the dough in plastic and let rest for 30 minutes. On a surface well dusted with flour knead the dough for few minutes and then divide into small balls, the size of oranges. Working with one ball of dough at the time, roll the dough into ½ inch diameter dowels and cut dowels into ½ inch long pieces. 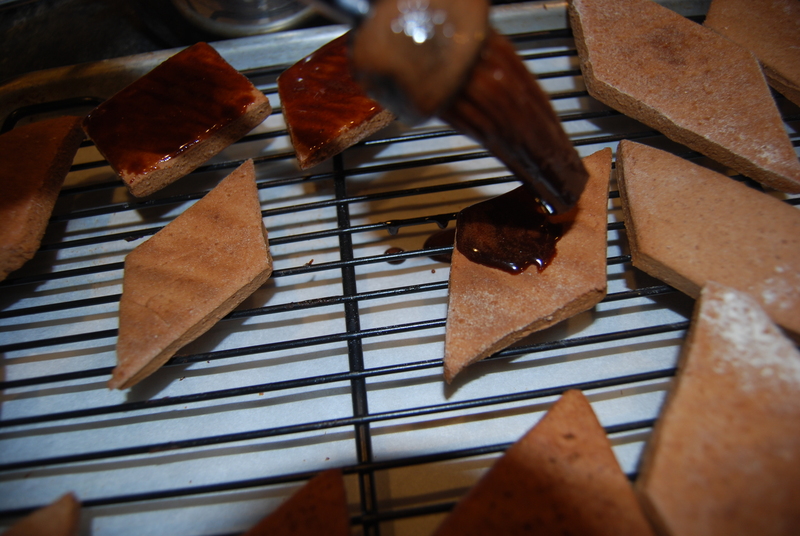 As you cut the pieces placed them on a surface dusted with flour. 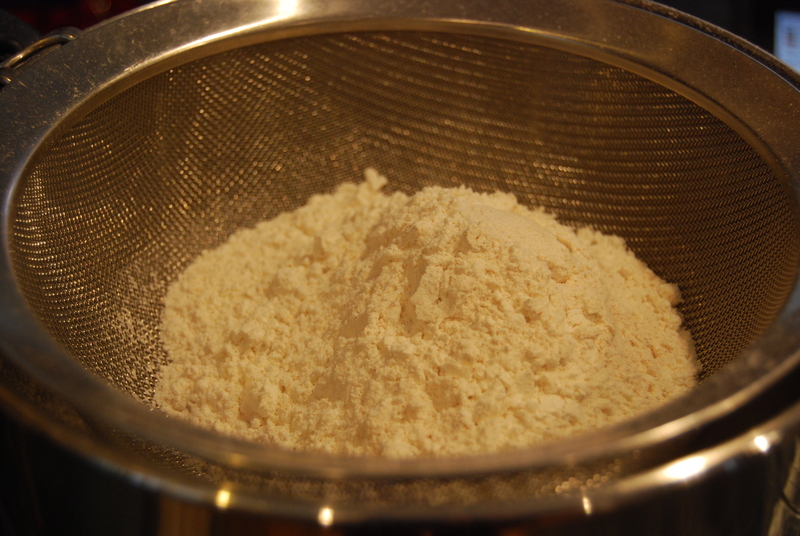 Right before frying transfer the pieces of dough (one batch at the time) into a sieve and shake to remove excess flour. 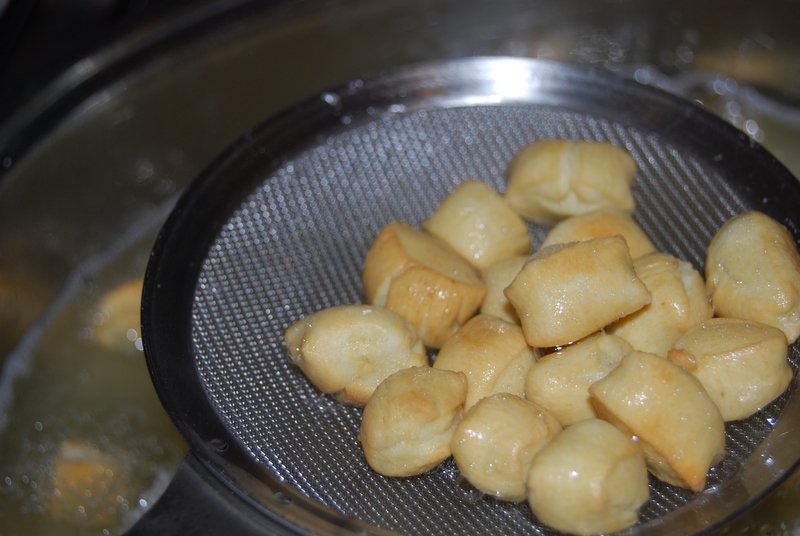 In a deep frying pan, heat the oil to 175 degree and fry the pieces of dough in batches. Do not overcrowd the pan. As soon as they became light gold, remove from the oil, drain and transfer into a plate lined with absorbent kitchen paper. 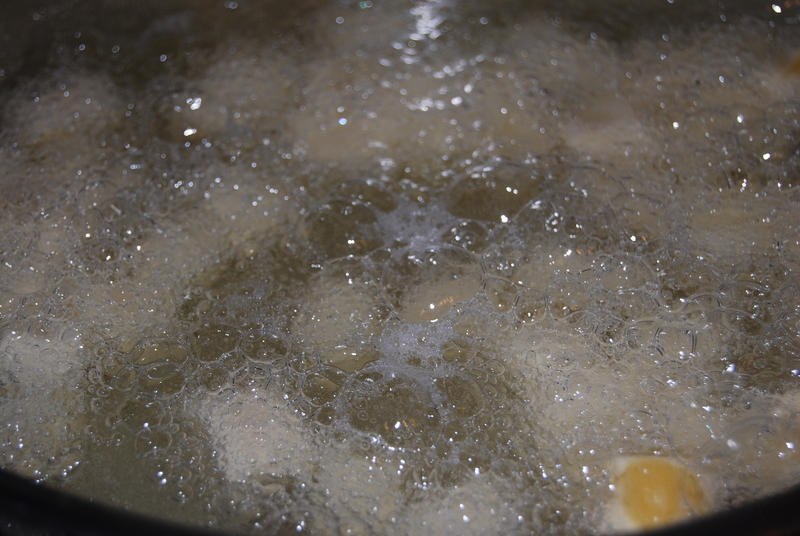 Place a large pan on top of a pot with simmering water. Pour the honey in the pan and let melt. Remove from heat and add the fried Struffoli, add the candied fruit and stir until all the Struffoli are completely coated with honey. 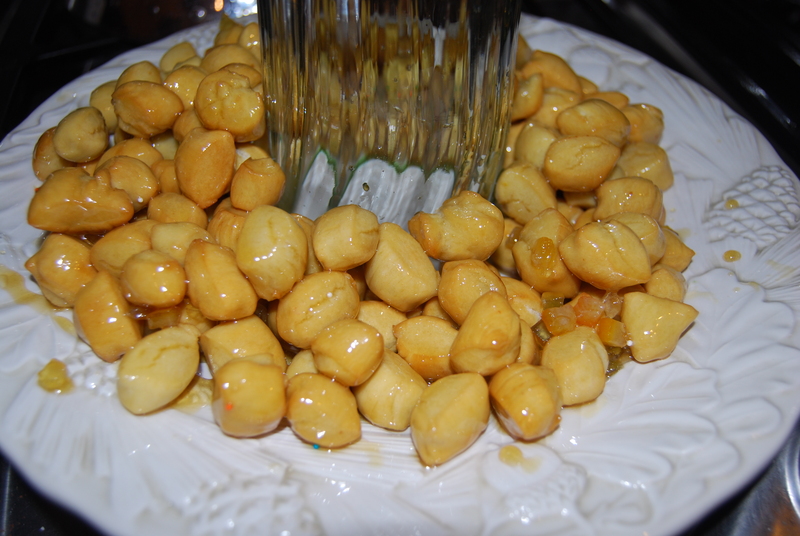 To plate the Struffoli, place a glass or a round jar in the center of a serving plate and then place the Struffoli all around to form a ring. Sprinkle with nonpareils and let sit few hours before removing the glass/jar. You still have time to make these two wonderful desserts, follow the recipes and remember I will be around if you have questions. Don’t forget to check My blog tomorrow for My Christmas Eve Menu`! Feast of the Seven Fish? Not quite . . .
Hello Maria! I’m happy to have found your blog. I am 2nd generation Italian from the Naples area and am trying to recreate some of the dishes my family made. Do you have a recipe for Roccoco by any chance? It’s our favorite but I’ve only bought it at the Italian bakery in the Bronx. Thanks! Do you know the name of the chocolate calzone made with the struffoli dough? This Christmas I want to ry and make Strofoli – my boyfriend tells me when his Grandmom was a live he used to eat “quintali” – which means TONS of them. Hope your recipe makes him remember good times. 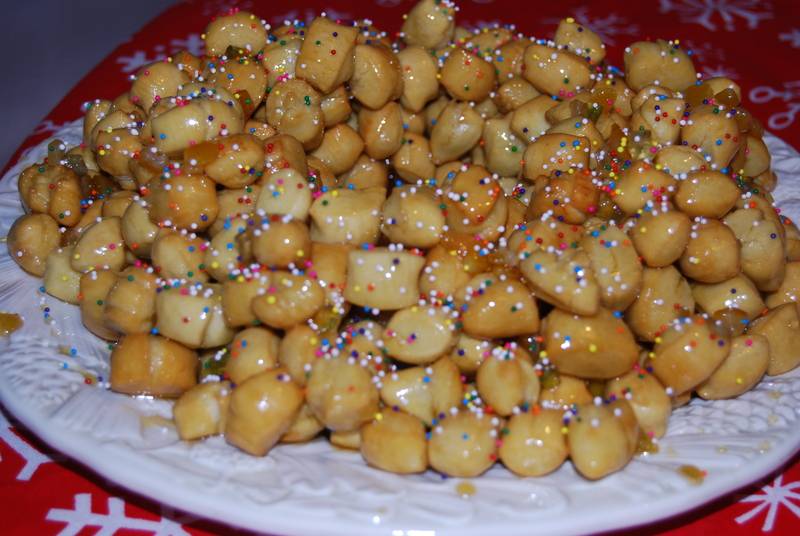 Have you made the struffoli? I hope they made your boyfriend happy! Buon Anno!